Application Acoustic Room treatment, Industries, etc. Thermosonics Pvt Ltd. is well known in the market for its customized products. 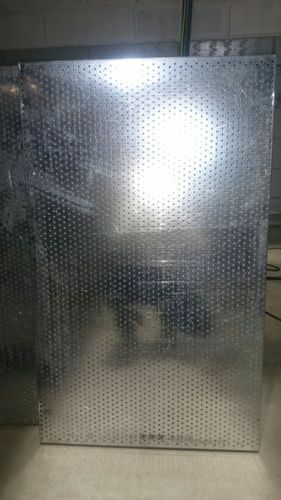 One of which is Metallic acoustic panels which can be used to acoustically treat the rooms instead of providing separate acoustic enclosures to the machines. This method overcomes the space constraint. Thermosonics Private Limited was established in the year 1999 as Manufacturer and Exporter of Acoustic Enclosure, Sound Attenuator, Acoustic Panels, Acoustic Barrier and much more. Due to its attractive appearance, excellent soundproofing property, optimum durability and affordable price, our Acoustic products are highly in demand in market. We at Thermosonics make use of latest tools, equipments & technology for Designing the customized Acoustic Products.